In Buchanan v. Introjunction Ltd., 2017 BCSC 1002, the Court considered a case where the employer terminated the plaintiff’s employment before he commenced work. The Court rejected employer’s argument that the probation period clause applied to limit its liability to provide notice of termination of employment. Despite the contractual termination provisions in the employment agreement, the Court awarded the plaintiff common law reasonable notice. It is important that employers take note of the legal principles in this case if they plan to retract an offer of employment. On October 16, 2017, Colton Buchanan accepted an offer of employment from Introjunction and signed a contract of employment. Expecting to commence work on November 1, 2016, Mr. Buchanan quit his existing job. Unfortunately, after he quit, on October 29, 2016, Introjunction’s CEO informed Mr. Buchanan that the offer of employment was being retracted. Mr. Buchanan commenced an action for wrongful dismissal, seeking four months’ pay in lieu of notice of termination of his employment. 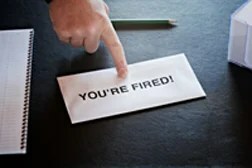 It is well-established that where an employee is terminated before they start work, they are entitled to reasonable notice or payment in lieu of notice (see, for example, DeGagne v. City of Williams Lake, 2015 BCSC 816). However, Introjunction argued that this principle did not apply because Mr. Buchanan’s employment contract contained a three-month probationary period, and it could rely on the probation provision in the circumstances. The Court disagreed, finding that: (i) the probation period expressly commenced on November 1st; and (ii) even if the probation provision did apply, it required the employer assess the suitability of the employee for the role during the probation period prior to terminating the employee’s employment. As Introjunction had terminated Mr. Buchanan’s employment before he started work, the probation period was not engaged and suitability could not have been a factor in the decision to terminate his employment. The Court also found that Introjunction’s conduct demonstrated a clear intention to not honour the employment contract when it retracted the offer of employment before he commenced his employment (it is important to this finding that Mr. Buchanan had already accepted the offer). As a result, Introjunction’s “retraction” of the employment offer amounted to a repudiation of the contract and an anticipatory breach. Accordingly, having repudiated the contract, Introjunction could not rely on any provision in the contract, and it was thus subject to the common law obligation to provide reasonable notice of termination of the contract of employment. Ultimately, the Court found that Introjunction wrongfully dismissed Mr. Buchanan from his employment and awarded him six weeks’ pay in lieu of notice. This result is an important reminder to employers about the potential risks of rescinding an offer of employment after it is accepted, and that caution should be exercised when terminating an employment agreement in such circumstances. Even with no service, and employee may attract a reasonable notice award. In this case it was six weeks, but considering the courts analyze a number of factors in assessing reasonable notice, other cases could involve even longer notice awards. These risks can be mitigated by including carefully drafted contractual termination provisions.